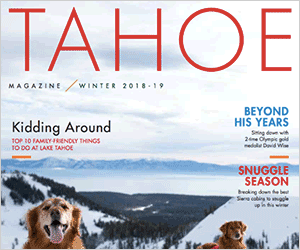 In nearly every issue of the Sierra Sun, I see full page ads paid for by Squaw Valley Ski Holdings LLC with testimonials by their merchants or members of the U.S. Olympic Ski Team. More recently, there was a full page ad with the headline, “Who Doesn’t Want to be Part of the Proposed Town of Olympic Valley?” where those who wish to be excluded from the “effort” to incorporate Squaw Valley give their testimonials. Squaw Valley Ski Holdings LLC also makes certain any donations to local nonprofit organizations are publicized in the paper, presumably to polish the image that “Skiing has a Soul and it lives in Squaw Valley,” and that they are decent, community-minded people with good intentions and to assuage any doubts or mistrust. They seem to be spending a lot of money preventing any tarnish build-up on their halos. The thing is, I have no doubt that Andy Wirth loves dogs or the other people within the corporation have consciences and don’t spend all their time dreaming up ways to bully those of us without money or power. I’m sure the donations to the Humane Society and agencies whose missions are protecting natural resources are gratefully received, but how do the donations prevent damage and negative consequences to the environment from unnecessary development at Squaw Valley? Giving money to nonprofit agencies may serve the image of being soulful and conscious about the environment, but is not going to make a water park or more hotel space or parking lots less destructive. I’d rather see all that money spent on making ski lifts and the resort’s hotels and restaurants sustainable, and paying employees a living wage. It would be refreshing if Squaw Valley Ski Holdings LLC and KSL would just be honest about their motives and intent. They are a for-profit enterprise. As such, their priority is to make as much money as possible and to spend as little as possible in areas where the return will be minimal, e.g., making their ski resort more eco-friendly and sustainable; and serving employees’ well-being just to name a couple of main areas where profit could be compromised. Companies do exist where profit takes on a different meaning; where a healthy bottom line is not more important than attending to employees’ well-being, the community and the environment. Squaw Valley Ski Holdings and KSL are not among them. The reality is, ski areas are not good for the environment. They are playgrounds for those who can afford it for the most part, and although it’s a great thing for people to enjoy the outdoors, the cost in terms of natural resources can no longer be justified. In Squaw Valley’s case, a great deal of damage has already been done as a result of recklessness in the past. The current owners have done admirable work in erosion prevention, replanting and rejuvenating the natural habitat on the mountain, but there is still much more to be done. My argument against further development is simply that it is unnecessary. The focus needs to be on making reparation and improving on what we have so we can be proud to participate in being among the world’s most eco-friendly resorts. We can no longer afford to squander natural resources in this world, and especially in America, where we have not yet learned restraint and refraining from indulging every whim and fancy. There is absolutely no justification for development without a clear need and a solid plan for making any new development sustainable on all levels. As I said before in my pleadings for this corporation to come to its senses, just because you can, doesn’t mean you should. And when humans push Mother Nature’s patience, the repercussions can be deadly. Think of the Dust Bowl. I have a deeply personal wish around what I would like to see happen. I recognize only a very few share this point of view, but I’m going to say it anyway. If all the ski lifts were taken out and everyone had to use their own power to get up the mountain, we would be healthier and we would have a very real experience of being in the outdoors. Imagine the quiet. There was a time when things were simpler and as I age, I long for that more and more. Kimball C. Pier, Ph.D., is a depth psychologist and a practicing therapist in Truckee. Visit http://www.sierraagape.org.